Honduran migrants en route to Mexico gather in a park in Tecun Uman, Guatemala, Jan. 17, 2019 (AP photo by Moises Castillo). 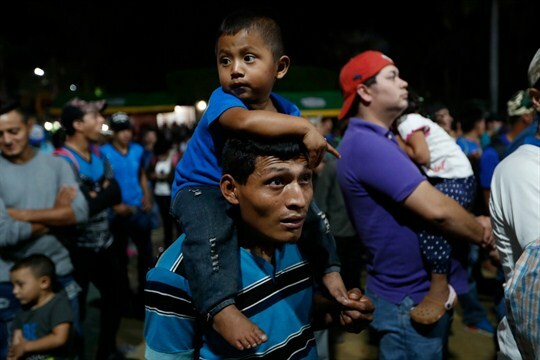 President Donald Trump announced late last month that he is cutting off $450 million in U.S. aid to Guatemala, Honduras and El Salvador, delivering on a previous threat amid news that another migrant caravan was forming in Central America. The move has drawn significant criticism, even from within Trump’s administration. The aid is largely used for social, economic and governance development programs that many consider to be an effective, long-term solution to underlying issues—such as violence, poverty and corruption—that are driving people out of their home countries and toward the United States.